‘Circulate small’ represents our youth & children entrepreneur vendors! We are always working with our guests & participating vendors to make sure Circulate is a safe and family friendly market space, we also make sure there are always youngsters learning , making and selling at our Circulate creative entrepreneur markets! Here are a few examples of ‘ Circulate small ‘ – enterprising young people with bright futures in creative business! Support & encourage them! If you have a young person who is creative and interested in showing off their talents, learning the art of salesmanship or if you are just needing inspiration to take your hobbies or passions to the next level come to our next Circulate event! “Sugar & Spice” is a body product line made & sold by these two terrific little ladies. We send special thanks to the proud parents of our ‘ Circulate small ‘ vendor section! We love to witness the excitement in their eyes each and every time! ‘Circulate small’ makes everyone so happy! Start them young and watch them grow!!!! 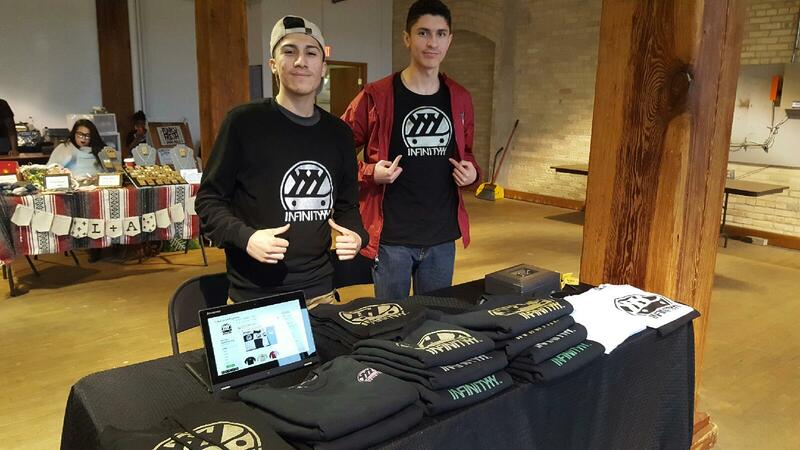 For an application to have your child or youth participate in ‘Circulate small‘ or to have Circulate creative entrepreneur market do a workshop with your youth….. see vendor page !